An exquisitely pretty 8x6mm amethyst gemstone stud earrings crafted in your choice of 14k or 18k white or yellow gold or platinum. Includes secure, friction-post push-back closures. Available in various gemstones (shown below) or pair it with a beautiful amethyst gemstone ring. Made to order in the U.S.A. Please allow approx. 5-7 business days before shipping. 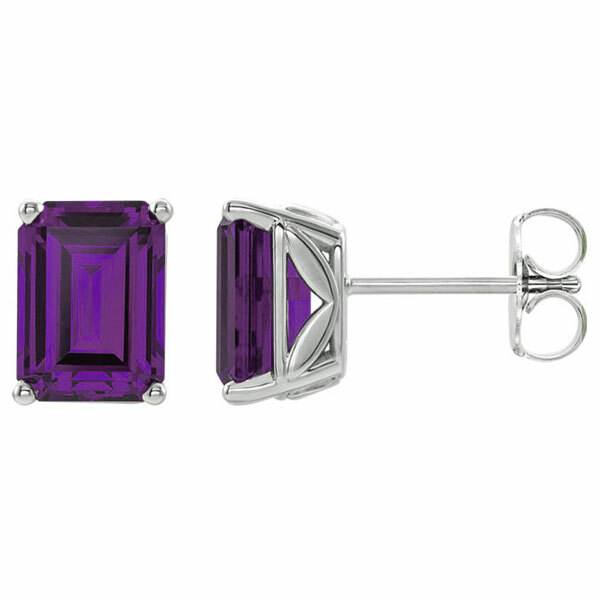 We guarantee our 8x6mm Amethyst Stud Earrings in 14K White Gold to be high quality, authentic jewelry, as described above.